Storm Guardians. 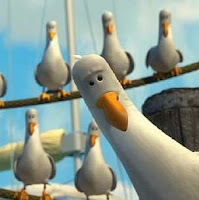 20 of 'em. They're not even completely done. A few extra little touches, but this is basically how they look. Matt V loves to needle me about posting pics, so... here ya go MV. In all their Scaly Green glory. The Hornets I don't know what I can make them into, but I tell you what: that Lynx, if it isn't too gigantic, will sure make for a BADASS fire prism. 30 days until Los Deimos Tournament.. what do I take?? 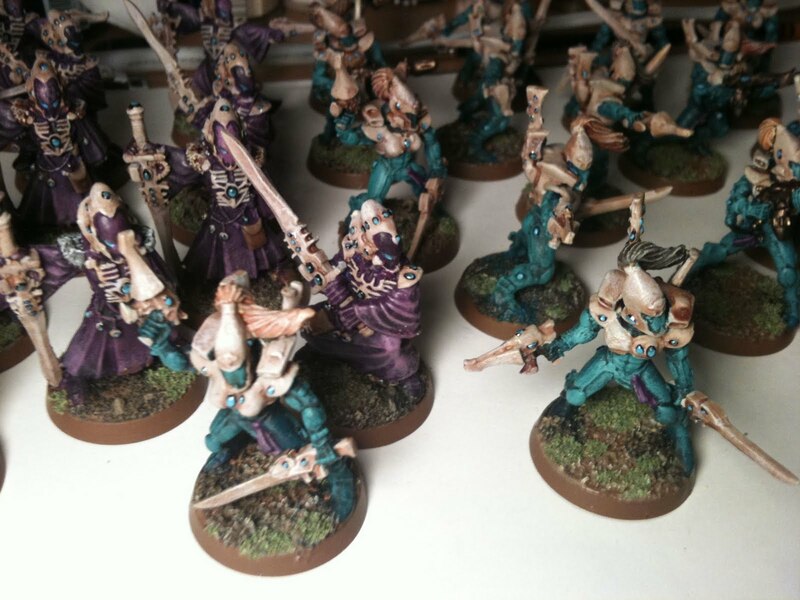 Man, its only 30 days away, and there is no way my Eldar are going to be done. Lately I've been running a different list for my Pre Heresy Night Lords, that relies on sternguard. I could run my Squats. Or I could run my Nids. Choices. So, having started to paint a few orks, and ordering a ton of bits, I find my self at a stalemate. Reading through the Ork Codex, all I can say is that I am less than thrilled at what appears to be my options for an "effective" list. So many of the newer books allow troops to do so much more. I know Orks are really the "comic relief" of 40k, but I would also like to play something that gives me many tactical options on top of the modeling ones. 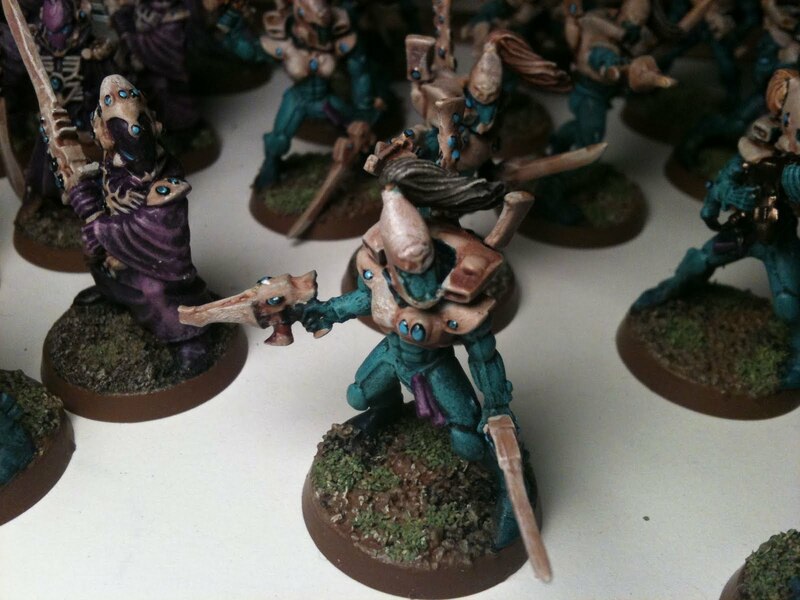 This brought my thoughts to the soon to be released Dark Eldar codex. This army has always intrigued me, as I tend to have a fondness for playing "bad guys" . Reading up on some of the rumors, it's looking like the DE will excel at fast, guerrilla style attacks (duh!) but also may shine in a heavy melee approach, with poison and such. It is making me really question the logic behind investing heavily into an army with an old codex (Orks) that have no rewrite in the near future(read 1-2yrs). Keep in mind I already play Chaos Marines (and love them!) and their codex is becoming less and less tenable with each new codex release. This isn't leading me to move away from Chaos, as it is fast becoming my go to army for painting, playing, and converting models. So what to do now. I have a small, nominal investment in Orks, meaning the contents of 2 AoBR boxes, plus bits and plasticard. No real loss there. Dark Eldar are getting a whole new line and new book offering a very different play style to power armor just like orks. So what is a man with a serious case of uncertainty to do? I'm really open to ideas and feedback as to which direction to take - something in me REALLY REALLY can't wait to buy a brand new codex and BattleForce and just have at it! Please, can someone give me some solid reasons NOT to leave orks until they get revamped and just do Dark Eldar? So I've been pretty busy the last few days with the start of school and I don't foresee myself able to devote more than maybe 2 hours at a time to painthammering in the near future. Trying not to lose motivation though, and trying to think of a good, realistic goal to set to make some more progress on my deathwing. I was thinking of something along the lines of priming my AOBR squad and doing the first wash of graveyard earth or something along those lines. I will try to do the above in the next few days. I probably won't bother posting pics though as once-washed terminators aren't anything special. Does anyone have any ideas on how to convert a Belial model? If everyone around you is making 40k their priority, and 40k is your favourite system, its hard to begin work on a brand new army for another system. Thus I am changing my To5G army to be Imperial Guard. Specifically my Elysian 77th. The army was mostly purchased second hand from a friend, but I have to assemble and paint all the air cavalry transports (8 Valkyries, 4 Vendettas and 1 Vulture), so there is a lot of work to be done. Hey everyone, here's a quick update with some pictures I took a few weeks ago while i assembled and then later painted some of my Deathwing. The army currently consists of 16 terminators and 2 dreadnoughts. I'm undecided as to whether I should try NMM since there are so few models. Being friends with the owner of the blog has its perks. 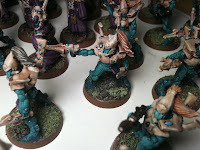 Talking to Matt a few weeks ago, I had decided to blog the progress of my latest warhammer effort. The latest army I'm working on is a Deathwing army. I was going through my stuff at school a while ago, and i found that i had 5 AOBR terminators, as well as at least 11 terminators assembled and primed white. Along with a FW dread and an AOBR dread, I decided to make a Deathwing army. I started work on the army a few weeks ago and have pictures (not on the computer yet). Above are my 2 heavily converted old school "egg" lead dreads. Plasticard for the collar and shoulder plates, plus a plastic terminator head, make them look a LOT like the pre-heresy artwork for dreads. I'm really happy how they turned out. They come in drop pods in this list. Old school Predator. My Squats army uses these quad guns as autocannons everywhere (because they look like Thudd Guns of course) so figured a good replacement for the plastic long las. Old Land Raider heavy bolters for the sponsons. Old lead Lascannon dudes in a 5 man Sternguard unit. The Purity Seals denote veterans. A fun model: chaplain with combi-assault cannon!! COnverted recently to have combi melta instead, leads a tactical squad now. My last Rhino, finished last night. I plan on taking this list to Conquest Toronto, so we will see how that turns out. I've never used a list not made by myself, but this one is different enough that it makes me think outside my normal marine comfort zone. Thanks again VT2!! Well, with the Los Deimos Campaign Tourney just 6 weeks off, Ca$h, Lothlann and I decided to get a few games in today. Tourney is 1500 points, no allies , no special characters. Video Bat Reps below as well. As you can see, it has a tonne of str 6 shooting and no assault capabilities. 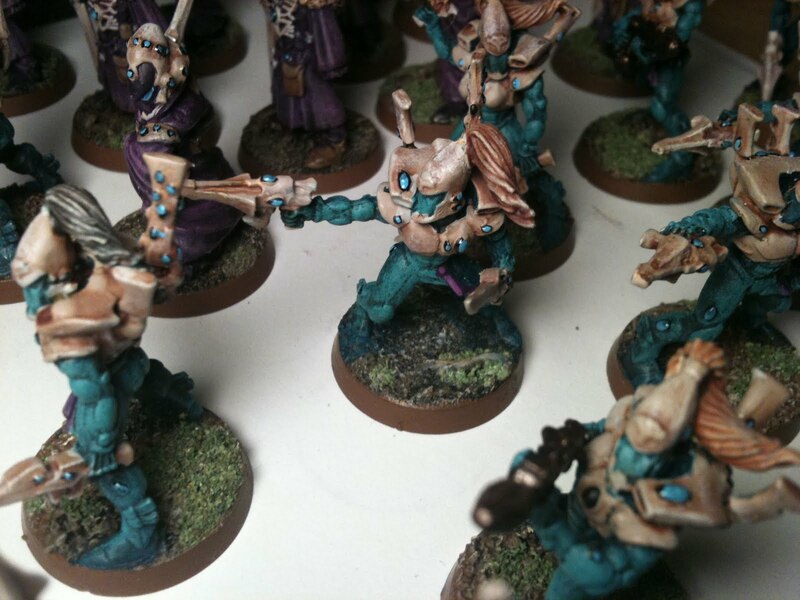 I am wholly reliant on eldar Mech to get me through to victory. This was only my 4th and 5th games playing Eldar, so I made quite a few blunders, which you will see below. Well, don't know if I am going to tweak the list or not, but I am glad that during today's paintathon, I got the guns sorted out, now I have to tentacle up the vehicles before they get the bright color treatment.